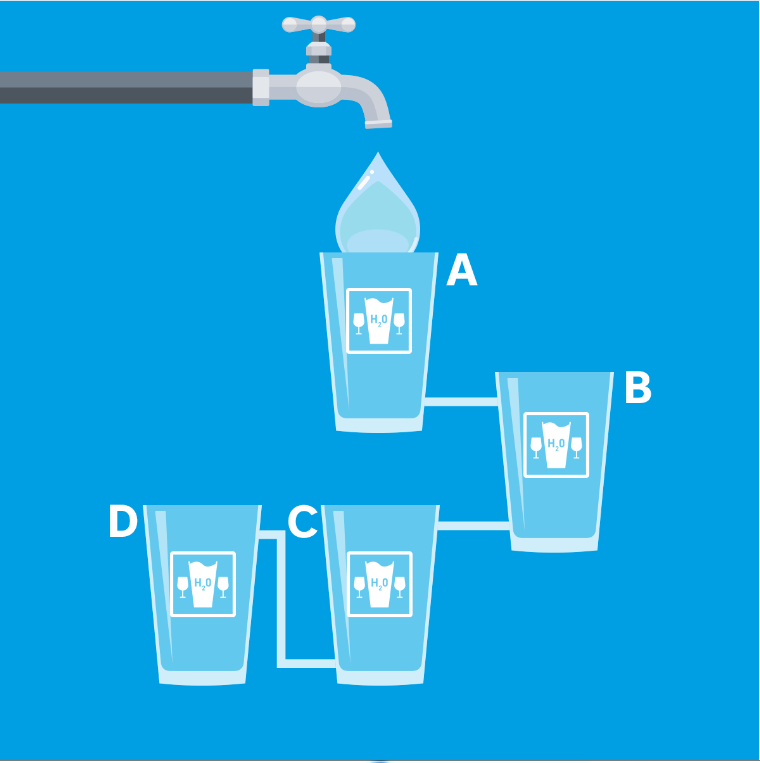 Drinks Initiatives - If you drink, drink some water in between! To endorse responsible consumption of alcohol. To suggest a practice to help decrease excessive consumption and change drinking habits. The idea for the campaign came from the “Green Paper on Alcohol Policy”, compiled in 2014 by the Ministry of Social Affairs in collaboration with the private sector and health organisations. 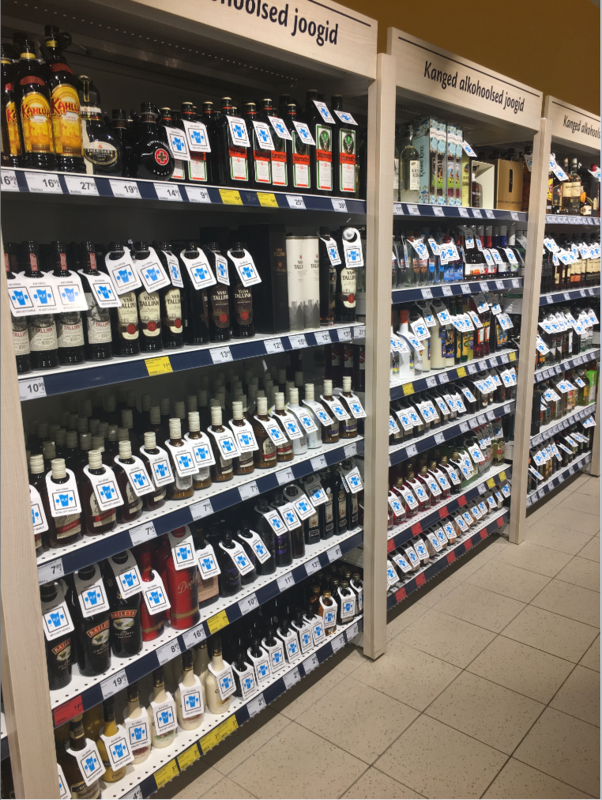 The document recommended establishing practices in the private sector which would decrease excessive alcohol consumption and prevent intoxication. Among these was serving alcoholic drinks with water. The campaign advocates drinking a glass of water in between each consumed glass of alcohol. 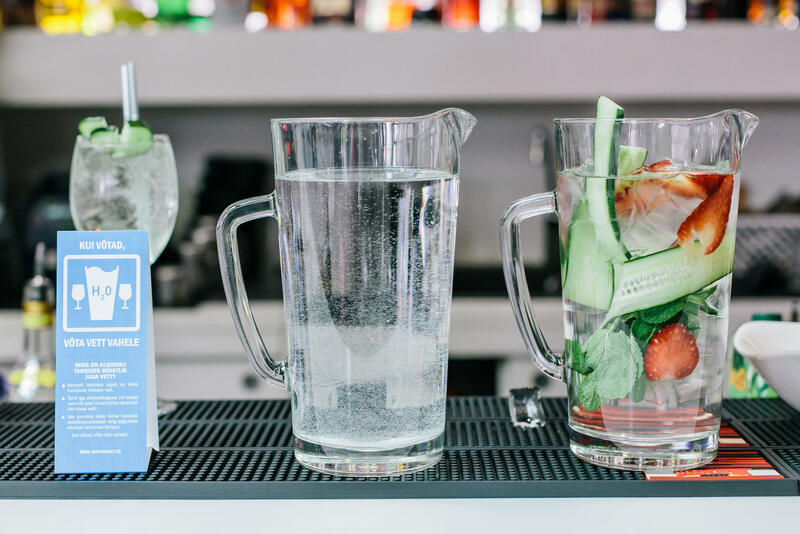 It also explains that alcohol consumption increases the body’s requirement for fluids and that drinking water helps to slow down the tempo of consumption and thus reduce the overall amount of consumed alcohol. 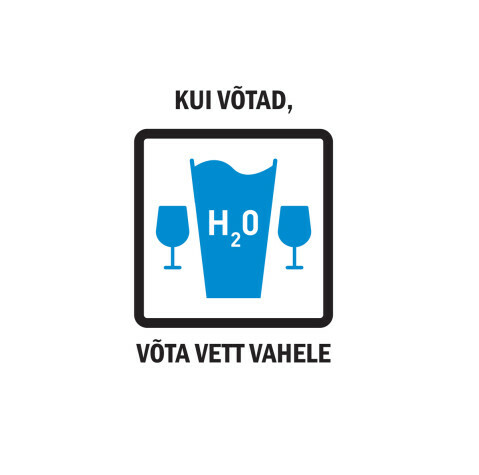 Serving free water is not commonplace in Estonian bars but the campaign aims to change this practice. 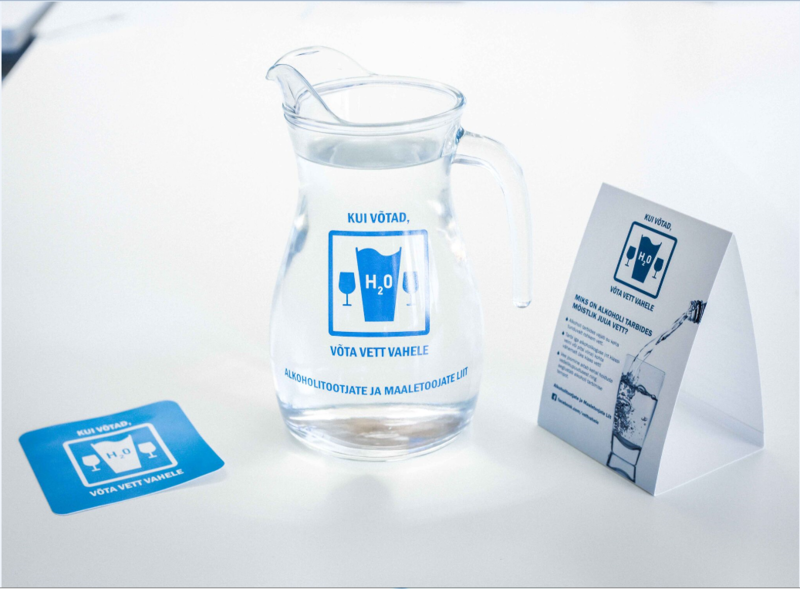 The message is spread through campaign products: water pitchers with the campaign logo used in participating bars; bottleneck ads placed on products sold in participating stores; campaign stickers in restrooms of participating bars; badges to highlight bars’ contribution (door stickers with the sign "A venue of wise consumption" and through social media. 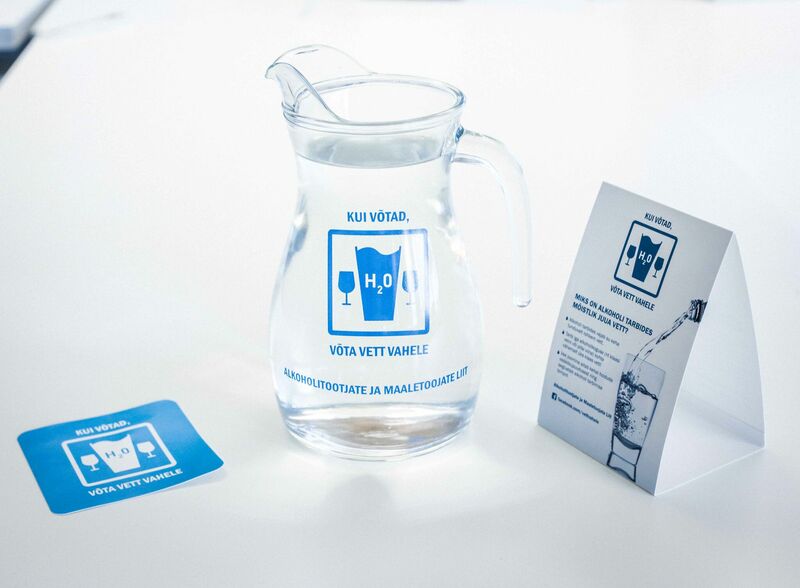 The message is spread through, debates with notable personalities; water pitchers with the campaign logo used in participating bars; bottleneck ads placed on products sold in participating stores; free water and campaign stickers in restrooms of participating bars. A dedicated Facebook page has also been set up and a section on the Drink Wisely website is dedicated to it. 650,000 neck hangers (placed on products containing alcohol) were distributed. 650 stickers were used in the restrooms of the 103 participating bars. 870 table displays were distributed. 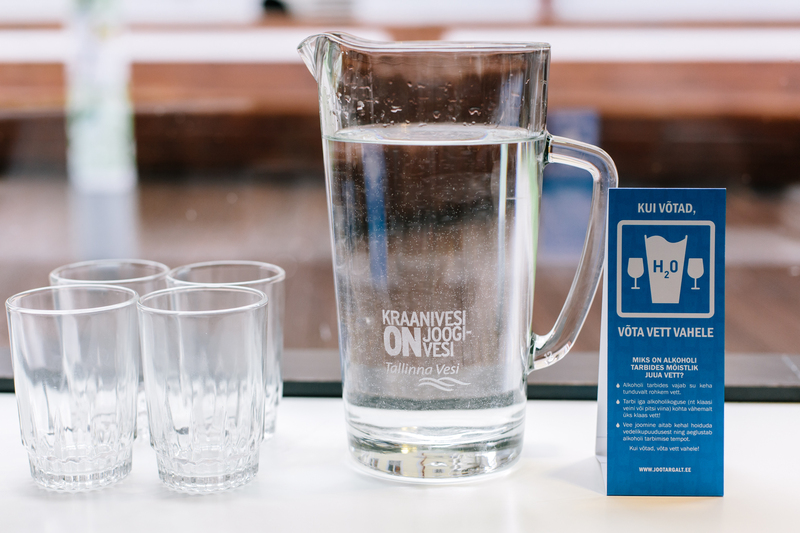 650 water pitchers were distributed to bars. 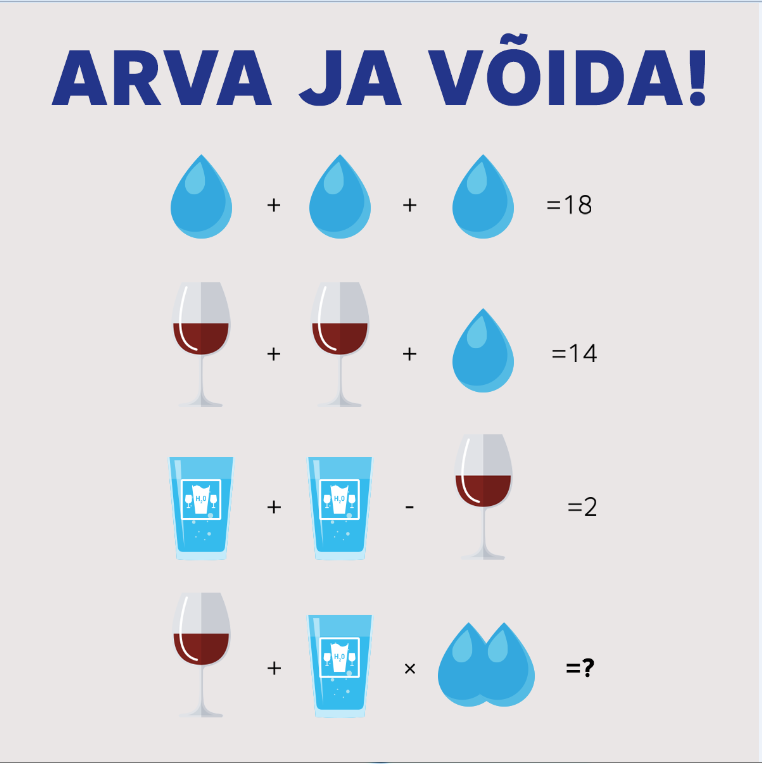 103 bars all served free drinking water to customers who consumed alcohol. 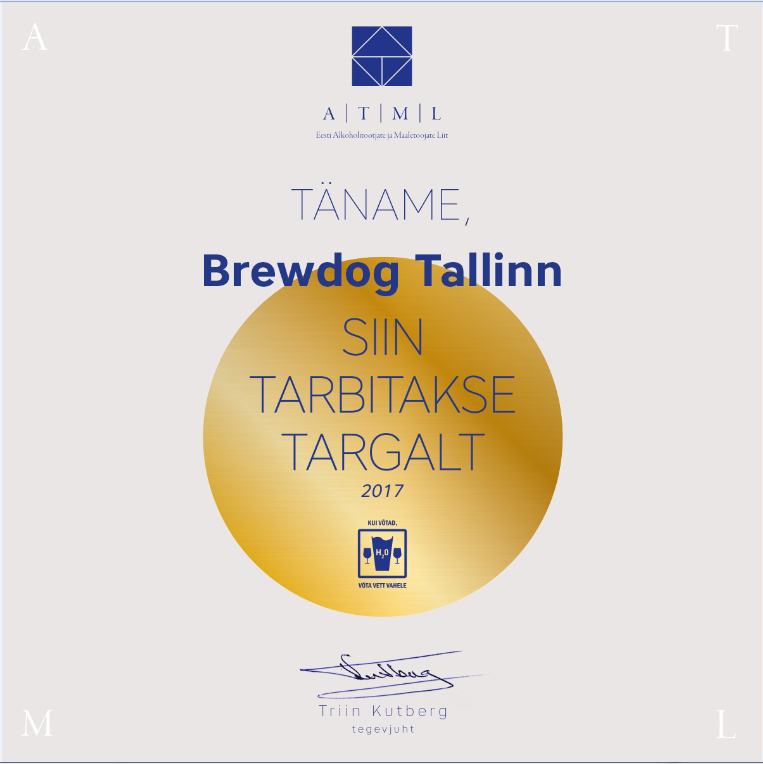 The electronic logo was used on the internet and in the alcohol advertisements of campaign participants and the video clips were displayed in bars and shared on social media. In September and October, the audio clip was played in 91 stores. 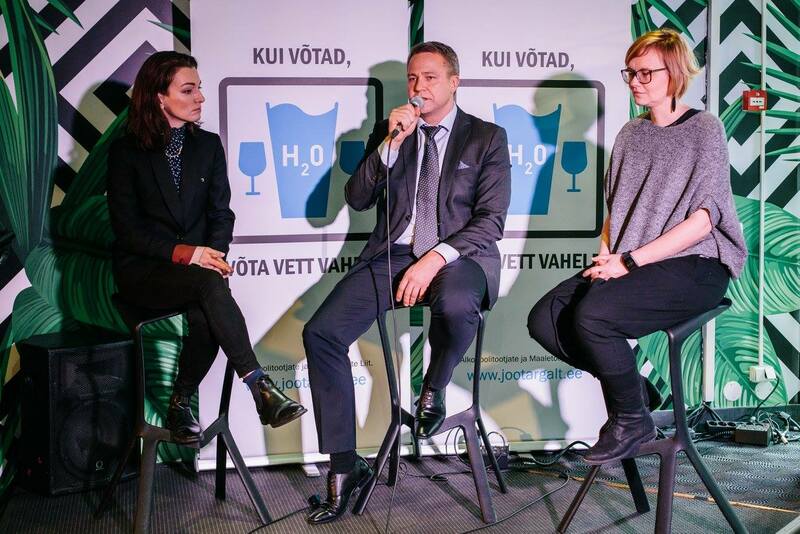 The campaign also had a great amount of media coverage, which can be reviewed in chronological order here: http://www.jootargalt.ee/kui-votad-vota-vett-vahele/kampaania-meediakajastused. In total, 49 stories in media (20 during first segment of the campaign and 29 in the autumn). The Facebook page was liked 980 times. The posts reached 323,363 adults, of which 10,308 engaged with the post. 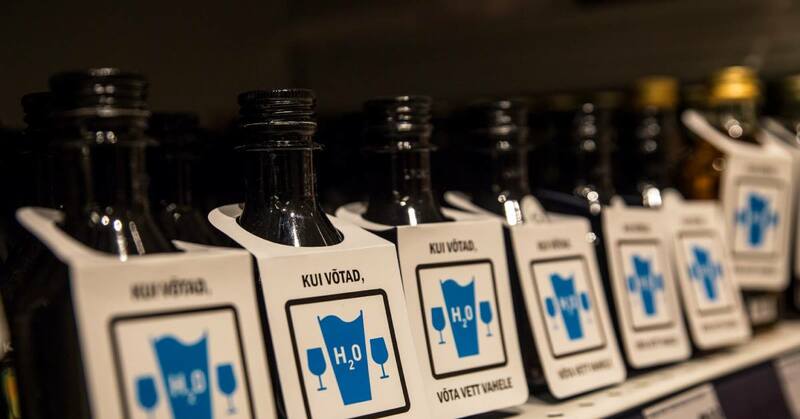 EAAPI attended the Estonian Drinks Festival in November 2017. 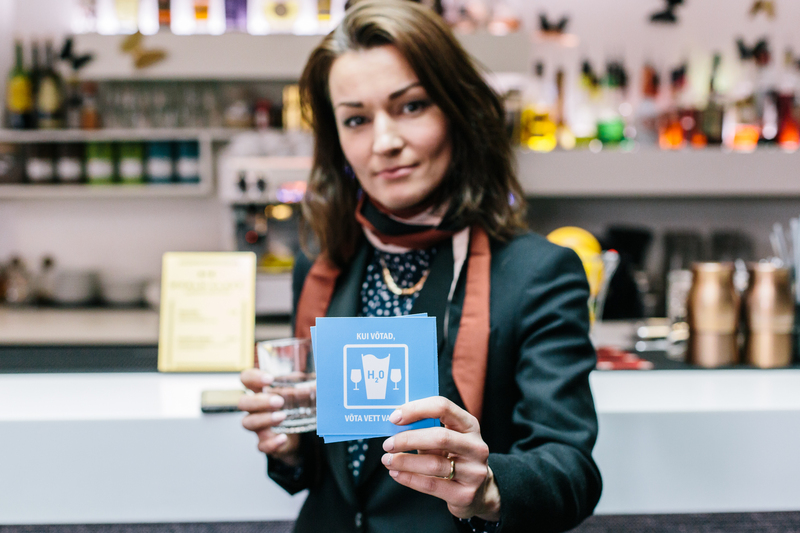 The results of the campaign were presented and 3 bars and one barman were recognised for their contribution to water campaign and being a role model to others. Feedback was positive.